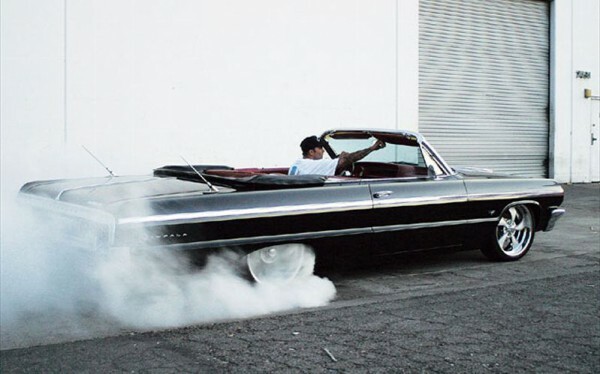 Check Out This Pretty 1964 Chevy Impala: "Fade To Black"! Check Out This Pretty 1964 Chevy Impala: “Fade To Black”! This 1964 Chevy Impala is 1,200 iron-clad horses monster, ready to spit fire out of its polished chrome and aluminum stand. The twin Rotomaster turbos boosts 12 psi of non-intercooled pressurized air and fuel in the cylinders, through the Victor Jr. intake manifold. The Isky connection rods, the Venolia pistons and the MSD 6AL ignition sparkle up the Brodix Track 1 aluminum heads combustion chamber. One look at this one of a kind built engine leaves people breathless. This Chevy engine and the unique position of the Carb Shop-built draw-through Holley 1050 Dominator related to intake manifold and turbos makes you wonder how it all works. But it works amazingly well. In the last dozens of years, Briggs, the owner of this monster, changed over three engines until he finally settled for this fourth one. He changed three splintered transmissions in his search for horsepower. The engine was said to never go over 180 degrees Farenheit on open road. Whenever Briggs takes one of his five Impalas out for a drive its all muscle, metal and speed. 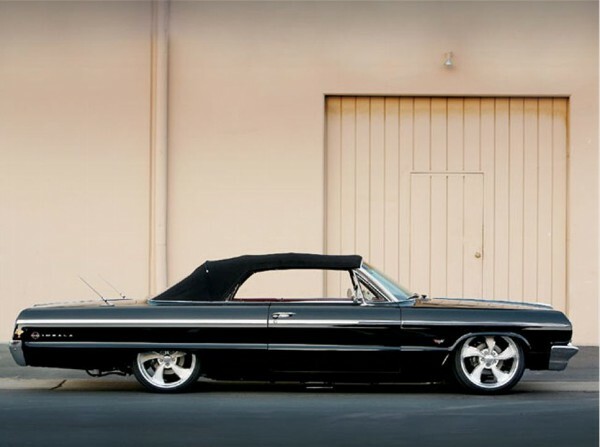 Finally, check out this masterpiece, a 65 Impala!